I am obviously slower than I thought I was. And I’m certainly slower than the capital aggregators known as Silicon Valley venture capital. They understood long before I did that early stage company investing is NOT about the value of the company. It’s about the valuation. ColorLabs was the poster child for this. Instagram, of course, is the current poster child for this. And now perhaps Viddy is the future. When very large amounts of cash are concentrated in a relatively very few hands, as we have right now in the Venture Capital industry and on corporate American balance sheets, ever bigger deals are required to get the attention of investors. If BIG VC has an $800 million fund and soaked up cash from LP’s who decided to NOT spread their investment into 10 smaller funds, that could mean that 10 $80 million funds might not get started. Does this matter to anyone? It certainly doesn’t matter to those with the $800 million. They can now invest $10-$15 million at a time in companies whose valuations can double to $100 million and redouble to $200 million in a matter of months as hot companies start speeding up the valuation chain. This is great news when you live in the land of Google and Facebook and other giants whose cash-laden balance sheets will always make them the potential last stop on the valuation express. Good news for Viddy A Round investors who put in $6 million in February, 2012…another $30 million from a bevy of Hollywood stars and institutional VC’s have loaded up the company’s balance sheet with enough cash to…well, to do little more than appreciate in value. The company has a nifty 15-second video sharing platform that will seemingly have a trillion users and a $100 trillion market cap in a few weeks. Might even have a little revenue. Battery Ventures and Greylock that put up cash for Viddy, and Sequoia and Khosla and others who put up for other social media rocket ships are comprised of damned smart people. If Viddy doesn’t make them a boatload of cash, one of the other dozens of social media companies will do so. America’s capitalist history is replete with successful investors in whom wealth became concentrated over time. And it is good. However, those investors invested in businesses of value that increased in valuation. Vanderbilt, Hilton, Ford, Schwab, Morgan, Jobs and other icons built companies of value and the valuation followed. Their businesses employed 100’s of thousands of people, usually Americans, and the country flourished from sea to sea. What value is there in a photo sharing service? A service that will make your picture look like it came out of your grandfathers Kodak? It builds wealth but little lasting value. The businesses like these don’t make us smarter or healthier or more self-sufficient or better able to defend ourselves in times of war. There is very little value in being able to share the picture of my funny cat; there can be tremendous valuation. These social media businesses are not “worthless”. Advertising businesses have been around for decades. And I don’t know whether 10 funds with $80 million each, making $500,000 to $3 million investments in companies with few if any paying customers would build this country better than 1 fund with $800 million making $10-15 million bets on companies with few if any paying customers! But I do know from economics that when BIG Government invests heavily in expansionary policies, something called “crowding out” occurs. Government spending soaks up private investment dollars in government bonds and, therefore, in their investments as interest rates rise to attract that capital, thus crowding out private sector investments. This is happening in Silicon Valley right now. The interest rate increase is replaced with rampant valuation increases, thus soaking up limited partner cash and crowding out investments in companies with value…but not hyper inflationary valuations. We need more seed stage investors in a wide variety of businesses, but no investor is going to care as long as the valuation machine keeps ringing up huge increases. Today’s climate in early stage investing forces smart people to think extremely short term, and why not? They are being rewarded for it. I just hope that the short-term thinking isn’t successful a whole lot longer. We’ve got a lot of problems in this country that can only be fixed with long term thinking…let me know if you want to know what they are. I’ll tweet you a picture. This entry was posted in Commentary/Editorial, Innovation and the World, Seed/Venture Capital and tagged Instagram, seed capital, Sequoia, venture, venture capital, Viddy. Bookmark the permalink. 1 Response to Ohhhhh. I Get It Now. 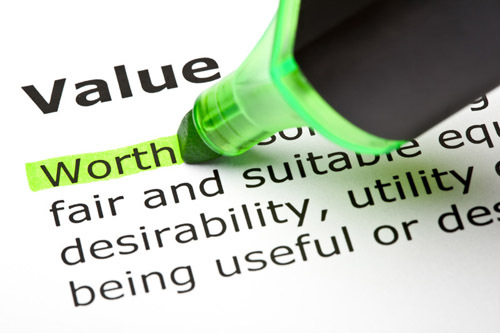 You Said Valuation…I Thought You Said Value.